Good news to our jetsetter friends and travel buffs, the Travel Madness Expo is happening this weekend July 7-10, 2016 at the SMX Convention Center. In line with this much anticipated event, the Taiwan Tourism Bureau presents Time For Taiwan- an afternoon affair introducing Taiwan to the Filipino people. 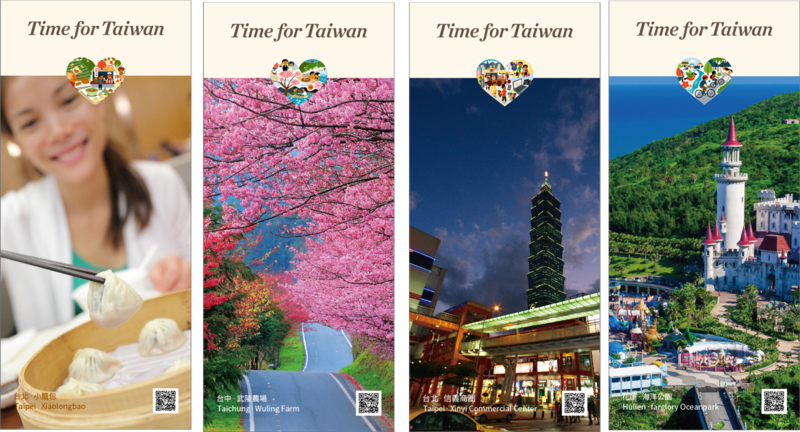 Time For Taiwan will be an afternoon of fun, games and surprises as free hotel accommodation vouchers, flight to Taiwan, and special gifts will be raffled off to all attendees. For those who are planning to go to Taiwan, this is an event you can't miss. I'll be sharing about my personal experiences and travels in Taiwan, and talk about food and shopping destinations, and other must-visit attractions and landmarks in Taipei. Interested participants may register online for free here. You may also visit: http://www.welcome2taiwan.net/activity-detail.php for more information. Taiwan Tourism Bureau will also share about their simplified visa regulations for high-end group tourists. Southeast Asian tourists (Filipinos) can now enjoy a hassle-free trip to Taiwan simply by participating in premium travel tour packages provided by premium travel agency partners. You are now qualified to apply for an entry visa to Taiwan with no need for proof of occupation and supporting financial documents. It is a good news for local people planning for a tour trip to Taiwan! Some premium tour packages will be introduced by local travel agencies and airline companies.